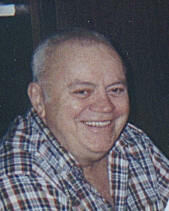 George Lawrence Tomlin, 83, of Mason City died Tuesday (Jan. 6, 2004) at 8:20 a.m. at St. John's Hospital in Springfield. His funeral was Friday morning at Hurley Funeral Home in Mason City, with cremation following. Nash Shawgo officiated at the service. Visitation was at the funeral home on Thursday. Mr. Tomlin retired from the Winter Park (Fla.) Telephone Company, where he was the supervisor of the key department and special equipment. He was born July 20, 1920, in Mason City to Ralph and Charlotte Becker Tomlin. He married Caroline Vespole, and she preceded him in death. She married Helen Knoles Wilkinson on July 12, 1973, in Altamonte Springs, Fla. She survives. Other survivors are two daughters, Phyllis Merck of Oviedo, Fla., and Jeanne Skaggs of Mason City; five grandchildren; five great-grandchildren; and two sisters, Charlotte Everist of Vallejo, Calif., and Faye Shields of Orlando, Fla. He was also preceded in death by one son, George Robert Tomlin, and one brother. He was a member of Castleberry Methodist Church in Florida, a life member of the World War II submarine association and member of the central Florida chapter, a 50-year member of Masonic Lodge 403 AF & AM, a member of the Mid-Florida Winnies Winnebago club, the national Winnebago RV club and the Independent Telecommunications Pioneer Association. Memorial contributions may be made to the donor's choice or the Cystic Fibrosis Foundation. Virginia Maxine Kendall, 77, of Mason City died Tuesday (Jan. 6, 2004) at 11:24 a.m. at Mason District Hospital in Havana. Her funeral will be at 2 p.m. Friday at Hurley Funeral Home in Mason City, with Nash Shawgo officiating. Visitation will be from 1 to 2 p.m.
Mrs. Kendall worked at Oney's Food Store in Mason City for the past 10 years. She had also worked as a clerk at Lee Brothers Clothing Store. She was born July 3, 1926, to Marvin and Hattie Smith Thompson. She married Robert Kendall on Jan. 25, 1951, in Mason City. Survivors are her husband; one daughter, Karen (and Alan) Tucker of Havana; two grandchildren, Jeff and Jenna Tucker; two brothers, Howard (and Wilma) Thompson of Mason City and Floyd (and Sandy) Thompson of Mason City; and two sisters, Laverne O'Brien of East Peoria and Mary (and Bob) List of Mason City. She was preceded in death by her parents, two sisters and two brothers. She was a member of the Mason City United Methodist Church. She taught Sunday school and was an adviser to the Methodist Youth Foundation. Memorial contributions may be made to her church or to the donor's choice. Visitation will be from 6 to 8 p.m. Friday at Quiram Funeral Home, Atlanta. His funeral will be at 10:30 a.m. Saturday at Armington Christian Church. Melvin C. Gresham will officiate. Burial will be in Mountjoy Cemetery, rural Atlanta, where military rites will be conducted by Armington American Legion Taylor-Eckhardt Post 913.